Blog Quick Quotes: Friday Challenge 23! Good morning! Barb here today to host the first challenge of 2013! 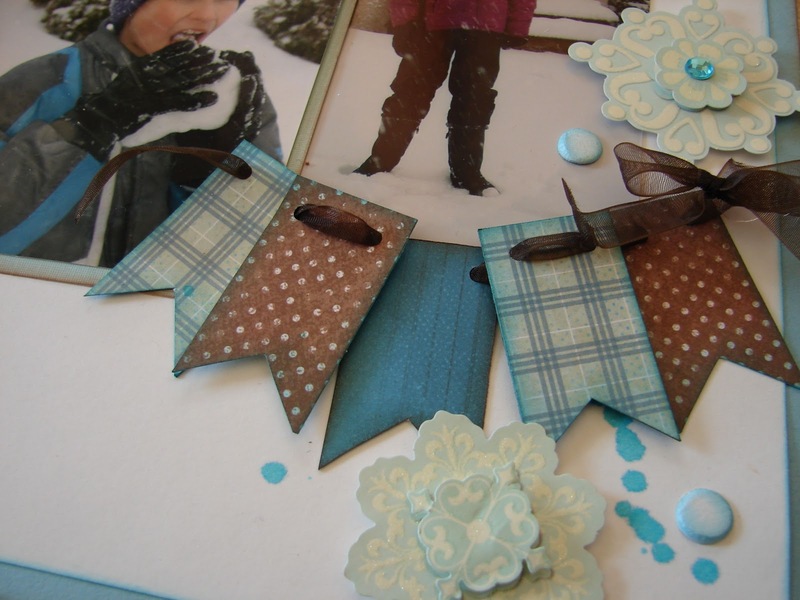 Now that the business of the holidays is over, it is time to get back to some scrapbooking! Over the break, we went back to Indiana where it snowed. 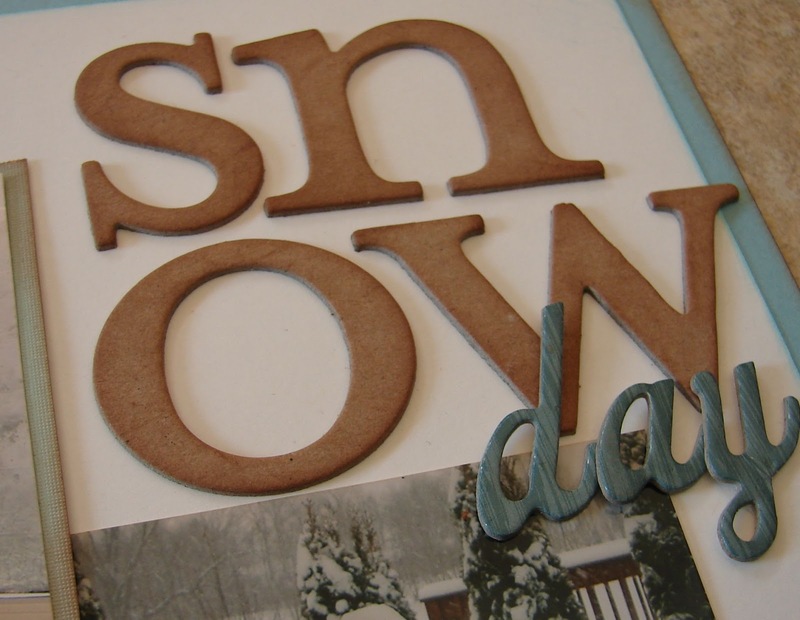 Sometimes I get tired of the traditional blue and white layouts that I usually create when scrapping snow photos so this time, I added in some browns. I love the way it turned out! This banner was created with Quick Quotes Stowaway Paper Line. I inked the edges of each banner flag with PowderPuff Chalking ink in Baja Blue and Mocha Mama. The chipboard letters were also colored using PowderPuff Chalking Ink in Mocha Mama. Create a project and include a banner. You can create a layout, card, mini album or altered art, just include a banner of some style on your project in an obvious way. 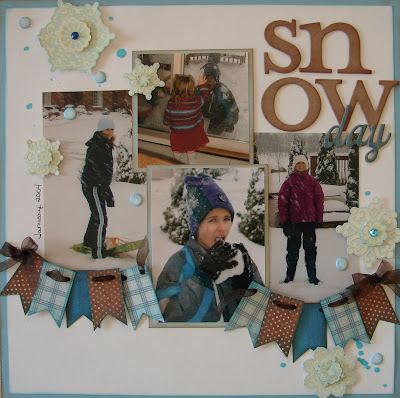 Awesome challenge, Barb and gorgeous example! Love the brown with the blues! Beautiful layout!! Great page, Barb! I love the way you did your title, and the blue & brown color scheme is wonderful!